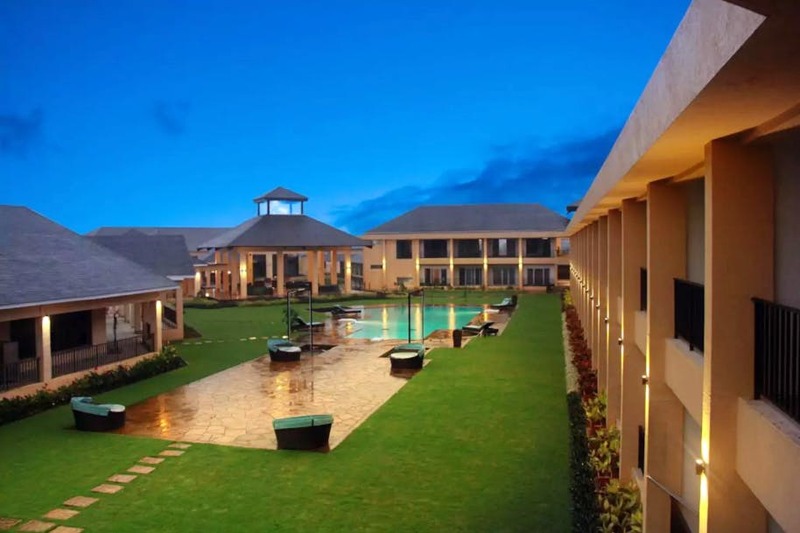 Are You Ready For A Vacay For Two At INR 3,500 At This Resort? A lush green lawn, a shape-pool which will practically call out to you for a lounging session, and super comfortable rooms – this and more is what is offered at Magnolia Room, a fully equipped place to stay in Igatpuri. Igatpuri is a small village en route Nashik. Untouched by civilisation, it still has its beauty and serenity intact. There are multiple trains that originate from CST or Lokmanyatilak Terminal straight to Igatpuri, which is roughly a three-hour journey. There are direct buses available too that will take about five hours. By road, it is 290 km which is a two-and-a-half-hour journey through the ghats, soaking in all the nature, love and fresh breathable air. A super comfy room here is ideal for two people but can fit an extra person for extra cost. The property has a nice pool with loungers on the side, so you can soak up the sun during the day, and chill here with a drink at night. The interiors are modern with a homely touch. Most of their rooms overlook the valley so sitting in the private balcony sipping a cuppa chai should be on your list of things to do. The property is equipped with many things to do. There is a full-service gym with free access to guests, a pool table, free wi-fi and breakfast. They even have a restaurant on property, so you don’t have to go hunting for meals. But there are some nominal rules you must abide by. Smoking, partying and holding events is not an option. Also, the place is not suitable for pets. A night for two people here costs INR 3,500 and if you’re squeezing in a third person, you will be charged INR 5,000 per night. Disclaimer: Tariffs are subject to dates, availability and season. Just a couple of hours away, Igatpuri is a quiet place, ideal for unwinding and detoxing. What better than this for a quick getaway?